The idea of 3000 was conceived in Melbourne by Australian writer | director Antonis Tsonis, but the reality of making this short film required careful consideration due to the distance between Europe and Australia. With modest resources, Independent Australian Producer Tia Spanos Tsonis and Greek Filmmaker and Co-Producer Panagiotis Fafoutis, wholeheartedly decided to make 3000 because it comments on a topic so poignant to them. Working with casting director, Akis Gourzoulidis, Antonis chose Panos Natsis to make his debut performance as Leon. When rehearsing with Panos, Antonis concentrated on the principle of ‘emotional truth’ as developed by American actress and acclaimed acting teacher, Stella Adler (1901-1992). German cinematographer Joerg Gruber, based in Berlin, joined the production team to shoot 3000 entirely on location. 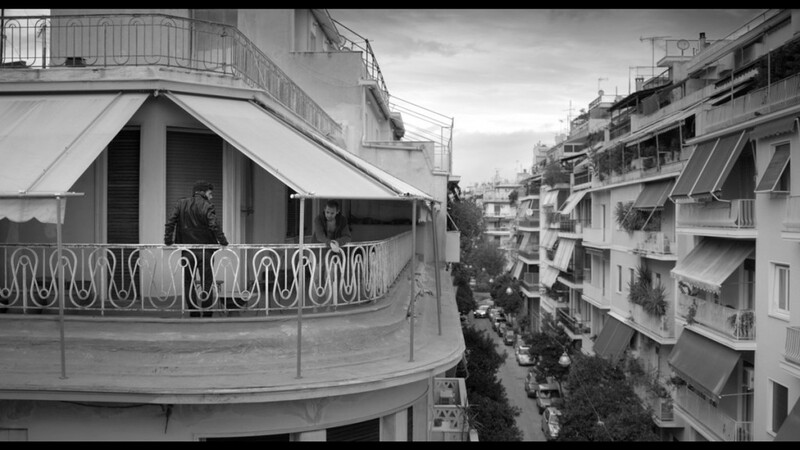 Antonis edited the film in Greece with Greek editor Lambis Haralambidis, and executive producer Wayne Blair joined Antonis in Athens for review. Post Production was completed at the DDP & Deluxe International Studios, Melbourne. Very special to 3000 is the theme music by the late Manuel De Sica (1949-2014). His short films have played in over 100 film festivals and have received many awards and nominations worldwide. In 2013, his independent short film, The Firebird, received many awards and won Best Dramatic Short at the Manhattan Film Festival. 3000 has participated in 68 International Official Selections and awards festivals, has won 15 awards and has received 18 nominations. Tia is the co-founder of Ficino Films and has produced and distributed four short films, which have travelled internationally and or have won awards. She has worked on many PR & Marketing campaigns in the entertainment and publishing industry and her inspiration to produce comes from her desire to share stories that are unrelenting in their expression of the human condition. Tia looks forward to the opportunity of sharing 3000 and distributing it to audiences and film festivals worldwide. Panagiotis was born in Patras, Greece. He studied Law at Athens University and film direction at the prestigious Stavrakos Film School also in Athens. Panagiotis is a celebrated and well-known director, scriptwriter and producer in Greece. He has made 6 short films, awarded nationally and internationally, and 2 feature films. His work has crossed many artistic genres including cinema, television, theatre, corporate and cultural events. Panagiotis is currently teaching cinema studies at film and drama schools whilst continuing his work as a filmmaker. Panagiotis has his own production company in Greece and has a highly regarded reputation amongst his peers and collaborative partners. Ficino Films is an independent film house based in Melbourne, Australia. Ficino Films aspires to create contemporary and world cinema productions that reach out to international audiences. Deluxe Australia makes funding contributions to the production of Australian features and television projects. We sponsor and collaborate with groups that help promote Australia’s film and television industry on a global stage. These include the Australian Academy of Cinema Television Arts (AACTA), Screen Producers Australia and the Australian Cinematographers Society as well as much-loved festivals including the Melbourne International, St Kilda and Indian Film Festivals.